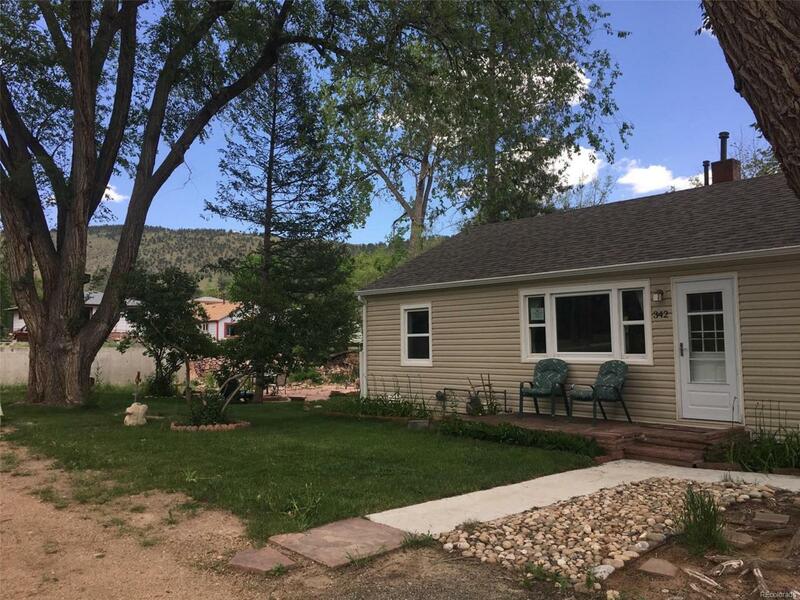 River front property in the heart of Lyons! The home was completely renovated in 2014. Gorgeous hickory floors, soothing gray paints, granite counters and custom tile work. By the river you will find a sandstone patio, fire pit and a custom Catio! The house had a brand new dishwasher, Nest central air/heat, in-line tankless water heater. The home has beautiful perennials, roses and willow hedges down by the river. Minutes to Estes Park and Rocky Mountain National Park. The new buyer will also enjoy watering their lawn from the stream water. There is a fee associated with the city. Go and see it today! The house is in Prestine Condition!